Our 2014 program kicked off on Sunday, January 26th at Windham Mountain. January is also the official Learn to Ride month and with a group of 37 youth participants, we did just that! The group is a mix of returning students and newbies, all with varying riding skills. This year, we also had a volunteer that was new to snowboarding. Our volunteer Matt, usually enjoys skiing, but took on the challenge of not only learning to snowboard, but to also chaperone a group of beginners. In addition, volunteer Shirley was also a newbie to snowboarding. It was interesting to see how the volunteers and the students would switch roles in motivating each other. After every outing, we ask the group what they have learned new or discovered about themselves. Answers typically vary, but most feel that their biggest challenge of the day was continuing to try to snowboard after falling. Some cited they needed a pep talk to continue, others felt determined to get it, but all agreed, giving up wasn’t an option. Determination at its finest! In honor of Throwback Thursday, #tbt, here are the photos from the Ciccone Theatre gala, which was held on Saturday, May 4, 2013. The Dance Theatre of Harlem performed and after their performance met with our group and answered some of our questions. Special thanks to Joyce Becker of Bergen Community College for making this a reality for us! On April 13th, our Founder and Executive Director, Elizabeth Royster had the honor of accepting the Woman of the Year award from Zeta Phi Beta Sorority, Incorporated ~ Sigma Zeta Zeta. She was nominated by Revenna Fowlkes, parent of Edward. Edward has been a part of Shred Love since the beginning! You can read more about that special evening in Liz’s own words here. On March 21, 2013, Shred Love’s Founder, Elizabeth Royster was honored by the New Jersey General Assembly as a part of Women’s History Month. She was nominated by Assemblyman Charles Mainor of Bayonne and Jersey City for her outstanding work in the community. Elizabeth is also the recipient of Zeta Phi Beta Sorority, Inc., Sigma Zeta Zeta Chapter of Hudson County, 2013 Woman of the Year award! Please join us in congratulating her on these major accomplishments! To purchase tickets to the Royal Legacy dinner, email zetaszzdinner@gmail.com for more information. Ok, it didn’t really go down like that, but I couldn’t resist. Shred Love hosted a night of family ice skating at Newport Skates in Jersey City and we had a great time. We had some beginners, even had a parent give it a shot, while some of the other parents laughed on the sideline. Don’t forget to join our newsletter to stay informed of upcoming events. Hope to see you at our next outing! She’s running for the exit, lol! 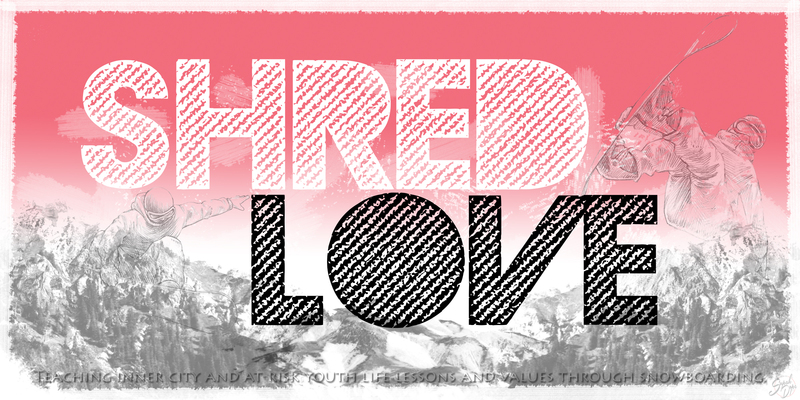 Check out the rest of pictures and many more on Shred Love’s Facebook page. Yes, its spring, but some resorts are just closing for the season. If you had a chance to get out and enjoy it, give yourself a pat on the back for taking part in a snowboard season that went out with a bang! End of March riding in Jersey?! Come on and admit it, you were shocked, amazed, but happy that you got full use of those season passes, lol! See those happy faces in the picture? They were happy to have another season with Shred Love, snowboarding, mountain biking, snowshoeing, and ice skating. Check out our Facebook page to see the rest of the photos. On behalf of Shred Love and our participants, I would like to thank Windham Mountain, Alston Tours, our volunteers, donors, the participants’ parents and anyone else my foggy memory can’t recall, for helping us continue to serve the youth of our community! It is with your continued support we are able to put smiles on these faces. Please consider joining us next year and/or making a donation. Cheers to 2013 Snowboard Season!